jet skiing, sky diving or jet boating – let the adventure begin. all tours can be booked from rumba’s tour desk. 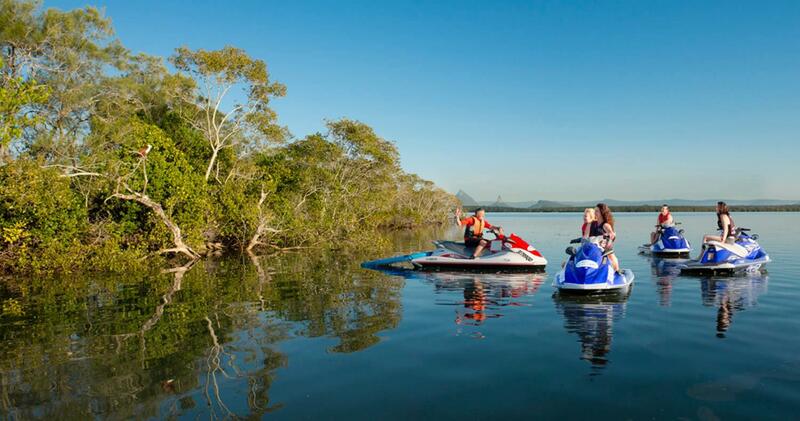 Fully guided eco adventure jetski tours along Pumicestone Passage taking in fantastic views of Bribie Island, the Glasshouse Mountains and the Moreton Bay Marine Park. www.caloundrajetski.com.au or call Ken on 0434330660. 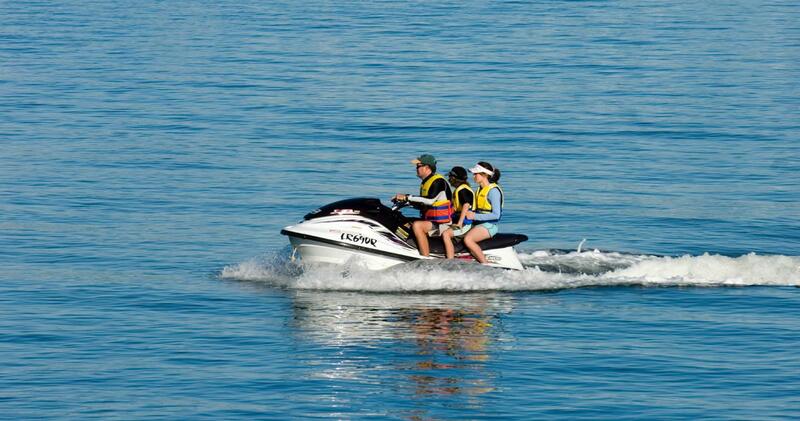 Book your Caloundra Jetski tour here. 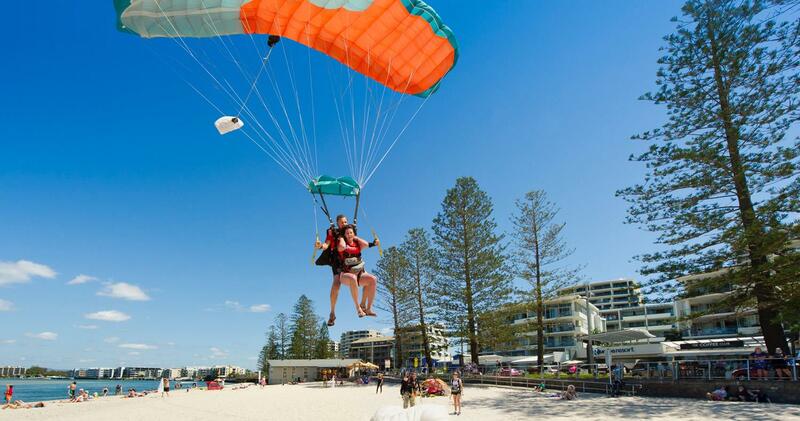 Sunshine Coast Skydivers in Caloundra are the tandem professionals to dive with. Skydive in this fantastic location with views spanning across Fraser Island, Noosa, The Pumicestone Passage & The Glasshouse Mountains. With only 3 of these boats ever built worldwide, this high adrenalin ride is a true ‘bucket list’ item ! 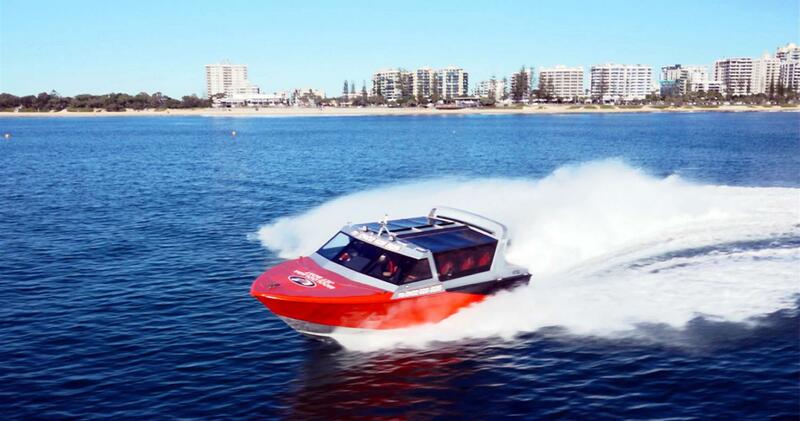 With all the manoeuvres of the more commonly know flat water jet boats and the added thrill of the open ocean swell and waves to perform them on, this thrill ride is definitely not a ride for the faint hearted. For those seeking a less extreme ride in this amazing vessel, whale watching (in season ) trips, or a canal cruise are also available.